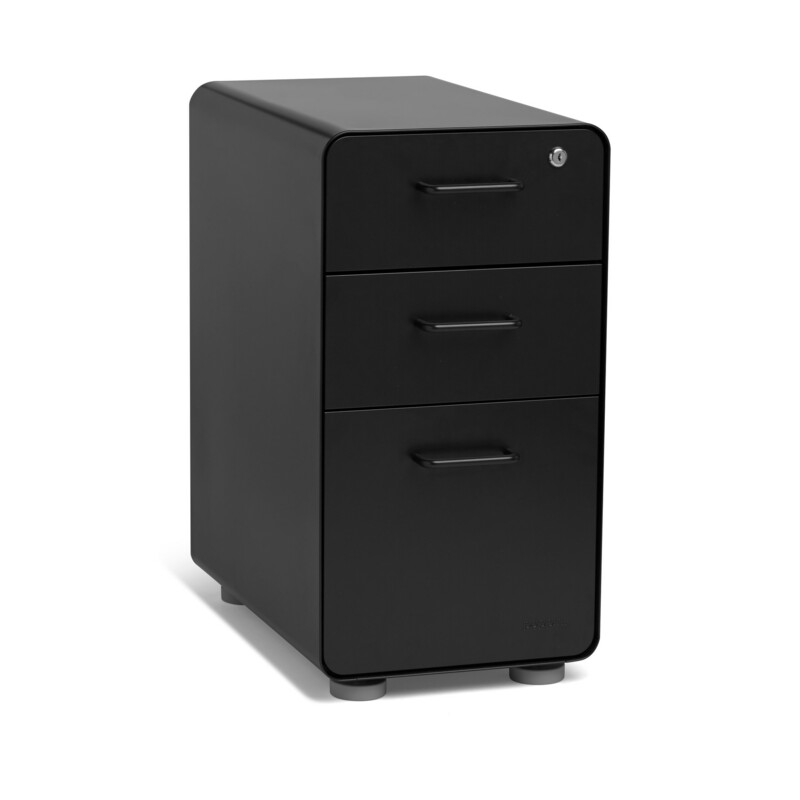 Our Slim Stow File Cabinet is designed for use with 47" desks, providing plenty of room for both your docs and your knees. Powder-coated steel construction with matching painted steel interior keeps your stuff super safe. One lock secures all three drawers, giving the entire cabinet the privacy it deserves. The Slim Stow File Cabinet ships in 1 box with a total weight of 58 lbs.